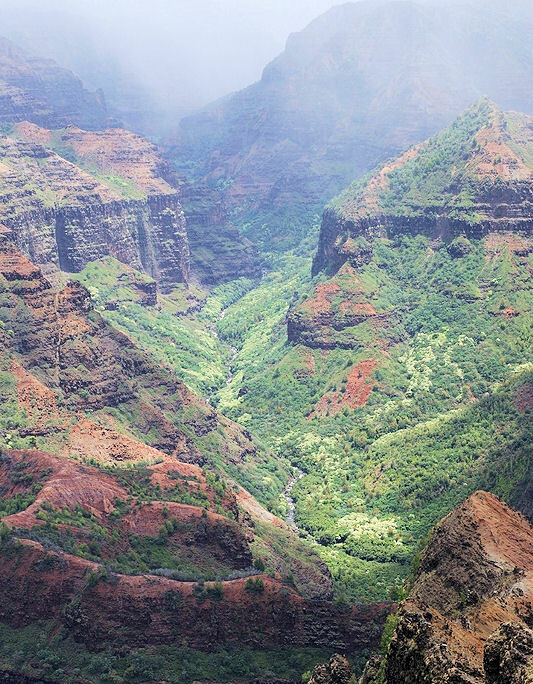 Ride with us up the mountain to the 3,400 foot level and overlook Waimea Canyon, "the Grand Canyon of the Pacific." We promise a visual history along the way – Old Koloa Town, circa 1834, heart of Hawaii's first sugar cane plantation, and Waimea, the little town that grew up where Captain Cook first set foot in Hawaii in 1778. Take a leisurely cruise down the Wailua River to the botanical beauty of the Fern Grotto. Here, the "Hawaiian Wedding Song" is a natural match in this lush environment. So bring somebody you love. The overlook at Opaekaa Falls is another romantic stop that will surely secure your love of our Garden Island. *This combo takes place over two days. On Thursday, from 10.30AM to 3.30PM, you will visit the magnificent Waimea Canyon. On Friday, from 8:30AM to 11:45AM, you will visit the Wailua River & Fern Grotto. Be sure to bring your camera. You will be brought back to your ship for lunch and picked back up at the pier for the second portion of the tour to Wailua River. Excursions offered may not be available for every cruise ship. Please note the boat and tram are not wheelchair accessible. Comfortable walking shoes are recommended. Children aged 2 and older require a ticket to participate.